And are you afraid of butternut squash?! Are you afraid to buy them because you don’t know what to do with one?! (Besides stare at it.) Well, I’ve got some help for you! 1. Steam-bake: Cut the squash in half, lengthwise. 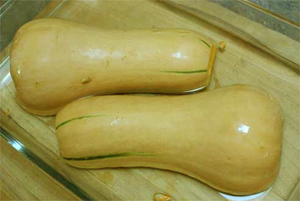 Place the squash, cut side down, into a 9 inch by 13 inch glass baking dish, as shown in photo. Add ½ cup of water to the baking dish, then cover tightly with foil. Bake at 350 F for one hour. Remove from oven and let cool slightly before handling. Flip the squash over and scoop out the seeds and membranes and discard. Finally, scoop out the flesh and mash with butter, brown sugar or honey, and cinnamon. Serve as a side dish. Steam-baking is also a great way to make butternut squash baby food, or a puree to hide in baked goods, like cinnamon butternut squash muffins. 2. 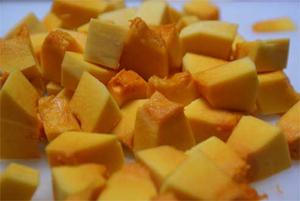 Roast: Slice the butternut squash into ½ inch thick half moon slices, or peel and dice the squash. Toss it with some olive oil, honey and cinnamon and roast at 400 F for 35 to 40 minutes. Try this Maple Roasted Butternut Squash. 3. Peel, then boil: Peel the squash and remove the seeds. Dice the flesh and boil for 15 to 20 minutes, or until soft. Use the squash to make a pureed soup, or mix with rice, risotto or couscous. 4. Microwave: Butternut squash can be cooked whole in the microwave. Cut several slits into the flesh to allow steam to escape as it cooks through. A medium sized squash will take about 10 minutes to cook in the microwave. Remove carefully as it will be smoking hot. Let cool before handling and scooping out the flesh. 5. 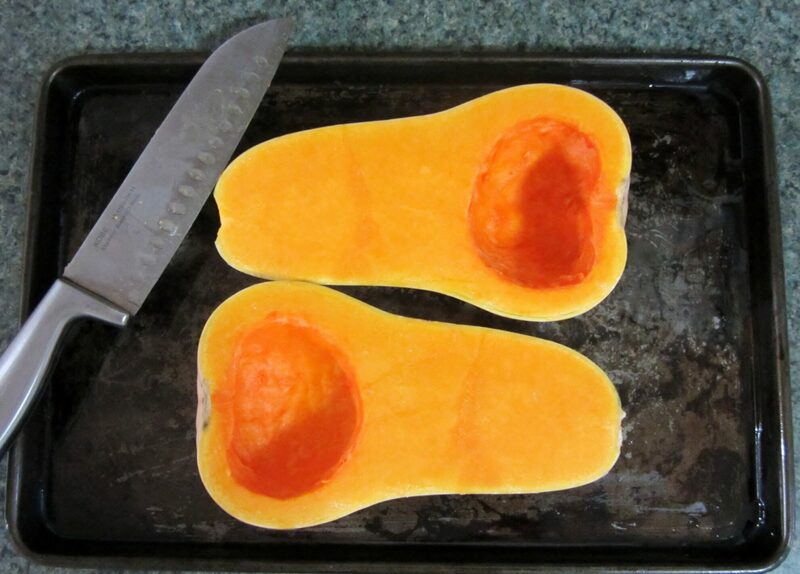 Bake: Cut the butternut squash in half lengthwise and place flesh side down on a foil lined baking sheet. Bake at 400 F for 30 to 40 minutes. The squash will be soft and tender when it has cooked through. Do you have any favorite butternut squash recipes?